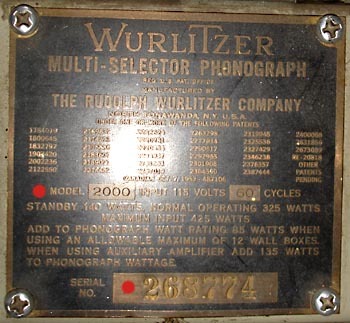 Once in a while the serial number of a jukebox, wallbox, speaker or other accessory becomes important: It can be helpful to identify the year of production, gives an idea of the output figures, different versions of a model, or helps to find out about the correct schematic, etc. 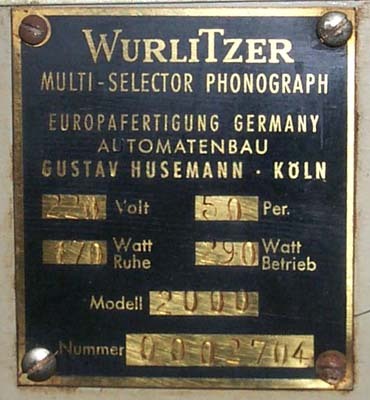 Serial numbers can help in finding out about early and late versions of certain models. 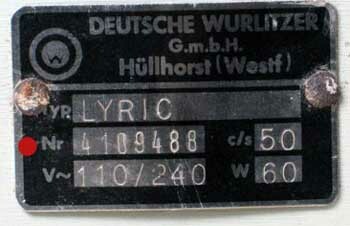 » Enter Serial Number Database Opens in a new window. 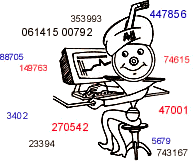 We like to invite you to join this databse, to make it as complete as possible. 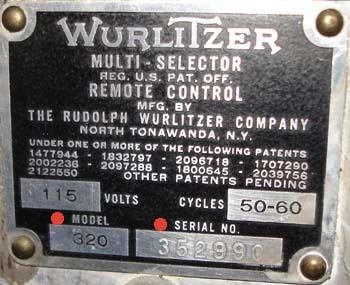 Enter all the serial numbers you know of. 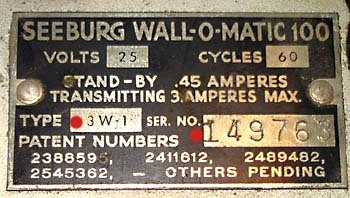 The model ID and serial number are normally stamped or printed on the ID-plate which is often mounted on the back of the cabinet. There is no extra registration required. You will be asked for your name and email address but can choose yourself to publish or hide these personal data. 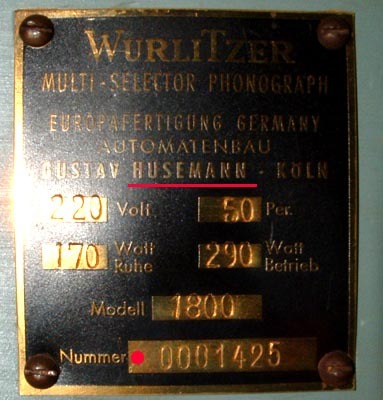 Some jukeboxes had been built under license (e.g. 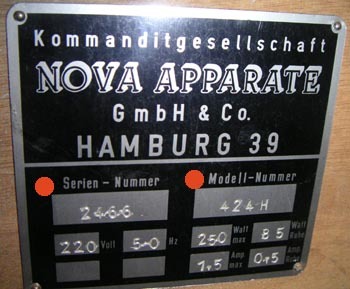 by Husemann, NOVA, Löwen or Ditchburn) and got new serial numbers. These companies are listed in their countries only. 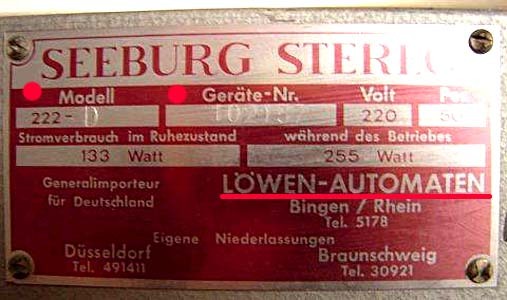 Note: The red dots indicate the necessary information.